You have selected the Event registration membership level. These applications are for artists, performers, workshops, events, etc. Any non creative, non community commercial activity needs to be approved by the Festival committee. The Festival reserves the right to remove any application it feels is abusive, political, disrespectful to the community (or members of), illegal or promotes activities, events, businesses or views we feel are not in tune with the ethos of the festival – cultivating community through creativity. Performers & event organisers agree to promote their events and publicise the festival and list the url www.crouchendfestival.org. By registering we give you permission to use the Crouch End Festival logo to promote your event. Performers are required too meet legal and local regulations and have PLI insurance if needed. Rights (©) on any images published on this site must be cleared by the person(s) registering. The Festival reserves the right to use all images for publicity of events so by publishing them you automatically give us permission to use the images in an marketing material we produce. Any infringement of © is the responsibility of the person(s) registering. We do not guarantee that all events will be listed or publicised in our collateral but we shall attempt to fairly promote all events. Any registration made after key last submission dates means we cannot includes it in publications (due to lead in times with printers). These applications are for market stall holders only that have been approved by the Festival committee. The Festival reserves the right to remove any application it feels is abusive, political, disrespectful to the community (or members of), illegal, promotes activities, events, businesses or views we feel are not in tune with the ethos of the festival – cultivating community through creativity. We cannot accept responsibility for bad weather, acts or God, legal issue, etc resulting in cancellation or poor turn out – but it’s unlikely! Market stall holders agree to promote the market event and publicise the festival and list the url www.crouchendfestival.org. 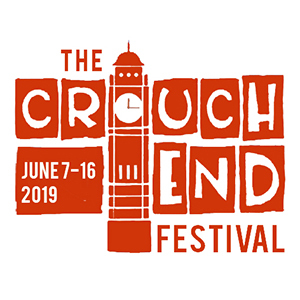 By registering we give you permission to use the Crouch End Festival logo to promote your event. Stall holders are required too meet legal and local regulations, including health & safety and to have PLI insurance if needed.